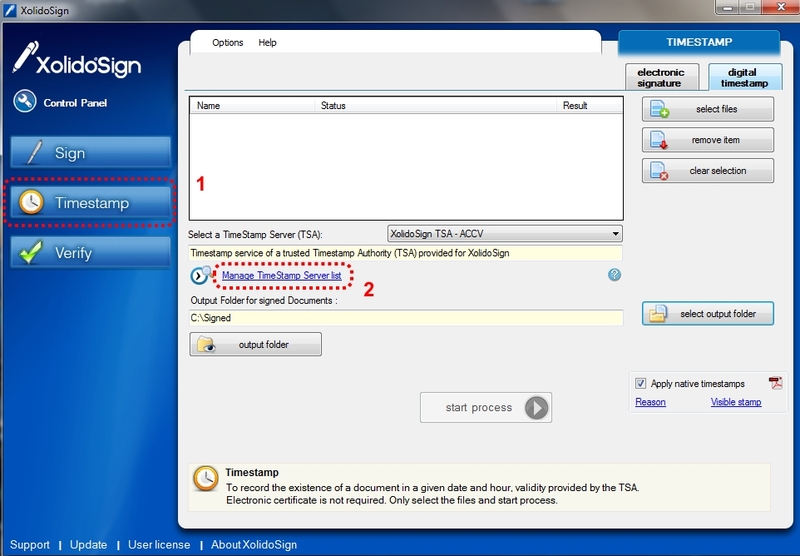 XolidoSign is a free program whose purpose is to sign existing PDF documents or any other kind of file by creating a signature file (.p7b or .tsr depending if you are digitally signing the file with your own certificate or just time stamping with a third party). 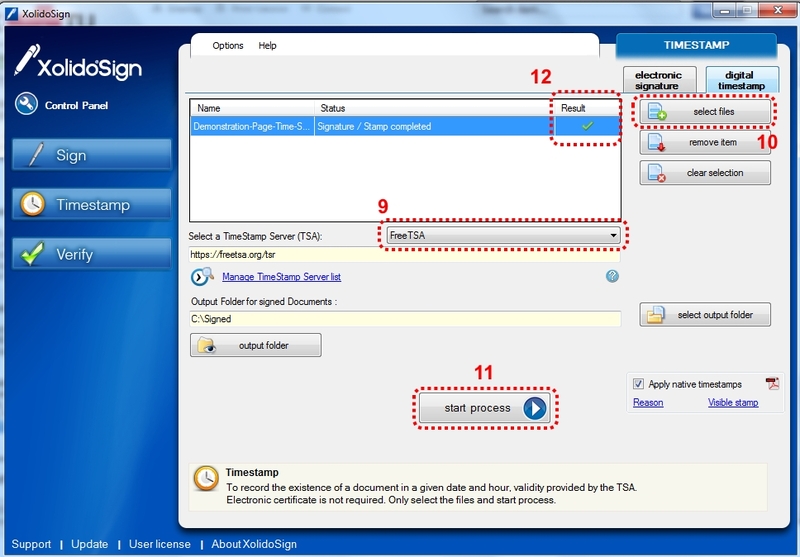 You can also use this program to verify digital signatures. 8- Accept again, and again. 12 - If every things goes ok you should see a "good mark" in the result. This program has more features, that you may want to use, explore the program to understand all the functionalities.